At one time, having asbestos in your home was considered a great feature. 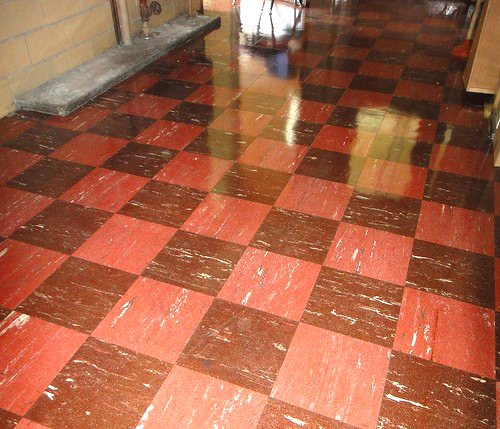 This heat and water resistant material was popular to use in home construction until the 1980s. However, we now know that asbestos can cause major lung problems, including lung cancer. You should consider asbestos removal in Toronto, as many older homes still contain it. Here are a few things to know about it, and how to get rid of asbestos with the help of professionals. We often think of asbestos as a fairly modern material, but the truth is its use goes back a lot further than that. In fact, it’s believed that asbestos was used in candle wicks as far back as 4000 B.C. In the centuries following, asbestos has appeared in handbags, paper currency, and firefighter gear (makes sense as a fire retardant.) In short, asbestos has been in almost everything. Modern homes built after 1920 (to about 1989 or so) are no different. Many building materials up until the 1980s contained asbestos for strength and fire protection, which is ideal… until of course, the asbestos is disturbed from damage or a renovation. Despite it being used for several man-made applications, asbestos is not artificial like some insulations. It is a natural silicate mineral that is mined from the ground. Mining of asbestos became popular in the late 19th century. Canada’s remaining asbestos mines were shut down in 2012, but it’s still being mined in Russia and China among other countries. 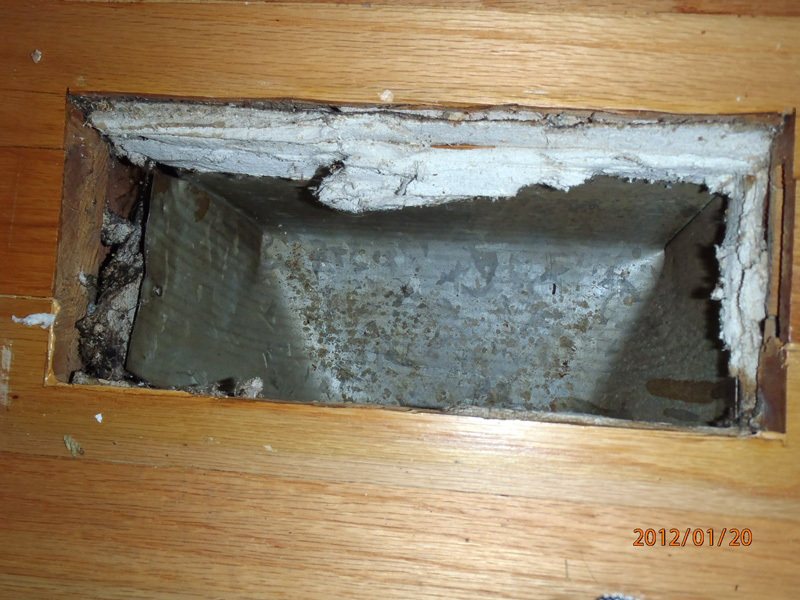 There are places in your home that you may not suspect contain asbestos, but they do. For example, you know that stucco textured white ceiling in your older home? 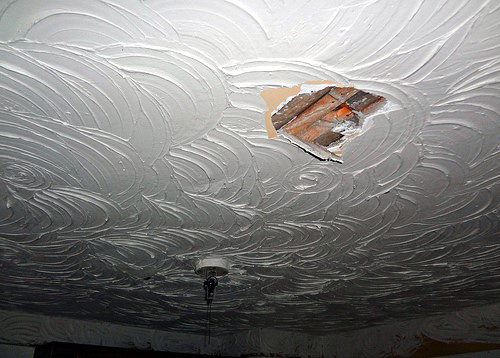 It’s also called “popcorn ceiling,” and it has asbestos. Since many pipes and other components might not be visible to you, you may not know about them until a renovation is being performed. 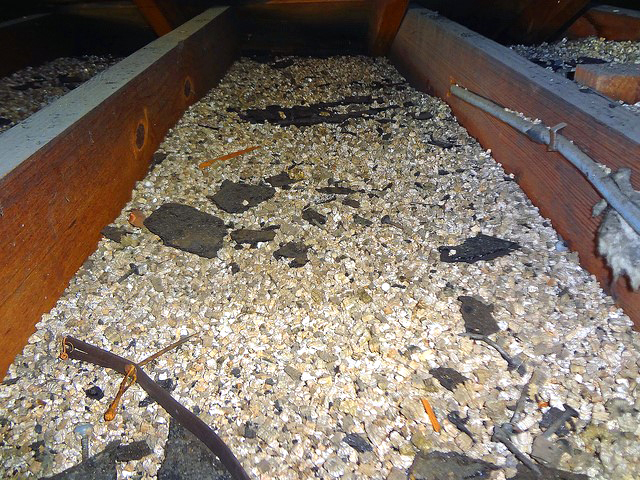 A good building contractor can sometimes spot asbestos, but it doesn’t mean they’re trained to get rid of it. How do you know whether a material contains asbestos? It’s actually difficult to tell for sure, although it looks kind of like fluffy old insulation in many cases. However, it could be hiding in solid objects like walls and tiles. First, consider the age of your home – that’s your first clue. If your home was constructed in the past 20 or even 25 years, then it probably won’t contain any asbestos. At least, it shouldn’t contain any. 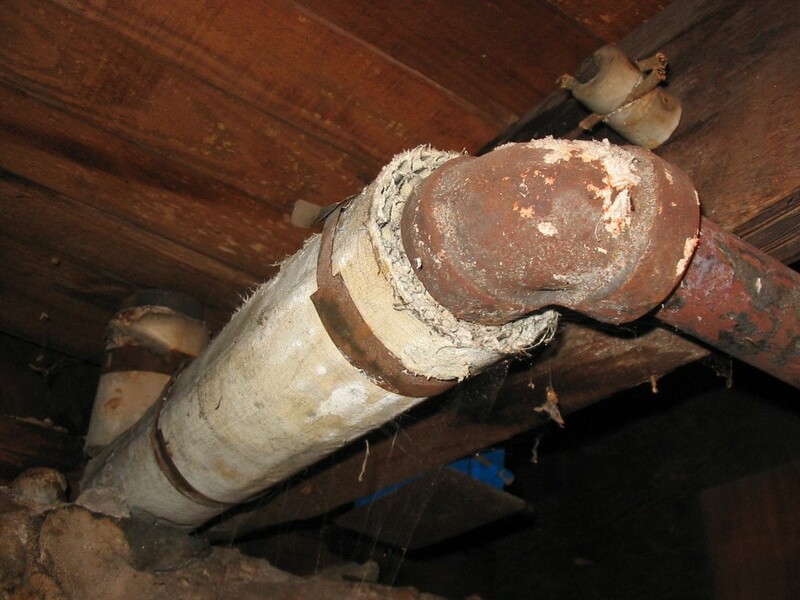 Look for pipe insulation that seems to be flaking or disintegrating. 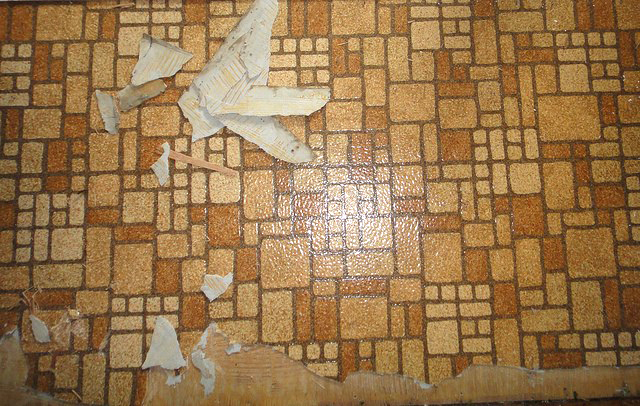 You should also watch for insulation, walls, or vinyl floor tiles that are crumbling or falling apart. 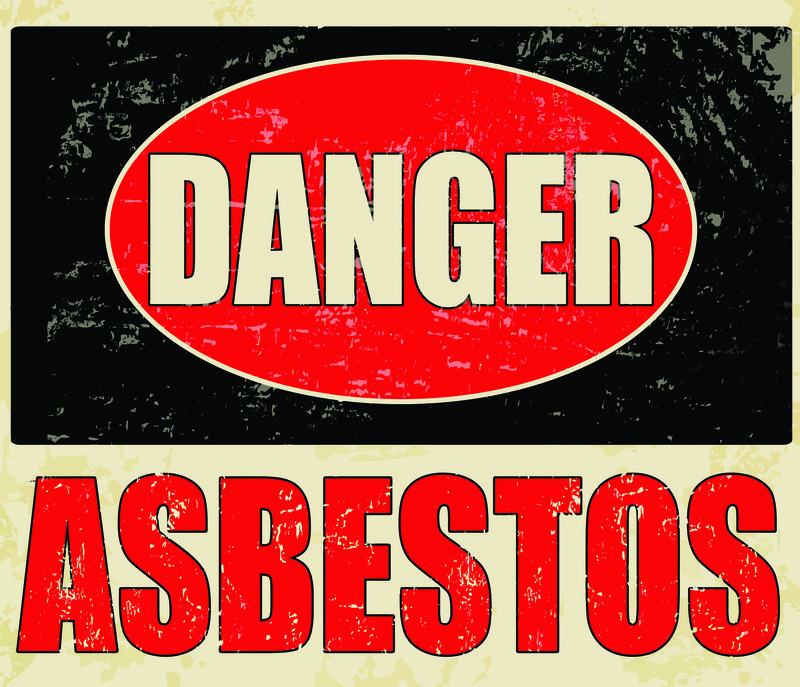 Asbestos is dangerous when it is released into the air due to materials breaking down. You may then breathe in tiny asbestos fibers without even knowing it. 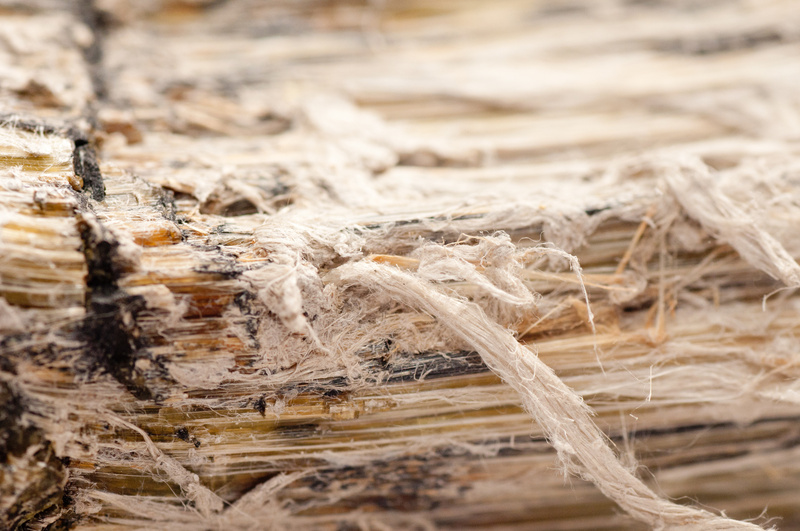 The tiny fibers released from asbestos can get lodged in your lungs, which can cause scarring over time. This condition is also known as Interstitial Lung Disease, which is also called asbestosis. It can make it harder to breathe, as well as prevent enough oxygen from getting into your bloodstream. Here’s the thing about asbestos exposure: you may not have any signs of lung problems for up to 30 years after being exposed. There is no cure, but there are treatments available. Breathing in asbestos can also heighten the risk of lung cancer, as well as mesothelioma cancer, which is a cancer of the lung linings. In fact, the National Cancer Institute in the U.S. identified asbestos as a lung cancer risk in the early 1940s. It can take more than a decade to develop symptoms of lung cancer related to asbestos exposure. 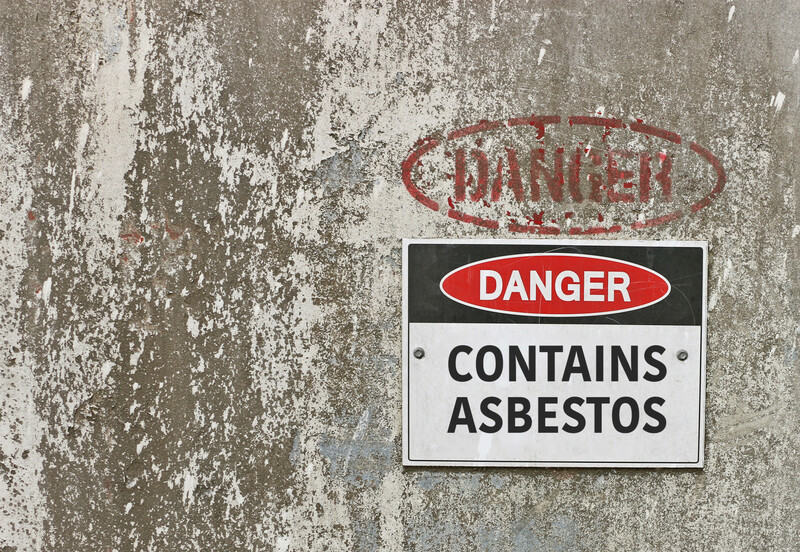 Canada has recently taken measures to ban asbestos-containing products. However, in the U.S., asbestos is still legal despite being recognized as a hazardous pollutant. It’s not just homes in Toronto that have asbestos problems – many commercial buildings do as well. In fact, research shows that asbestos exposure is the leading cause of workplace death. And experts expect asbestos-related health problems to continue, because of the delayed effects. You may be a DIY type, and that’s great. However, when you start sledge-hammering materials to make way for new features, you could unwittingly be putting yourself and your family in danger. You’ll want to hire a company that does testing for asbestos and can get rid of it safely before you start your renovation. In fact, it’s law in Ontario to identify any asbestos in homes built before 1986 and give this information to the home contractors. Without the proper gear and experience, you may be putting your health at risk if you skip this step. if you’re unsure whether your home materials contain asbestos, it’s best to leave it to the experts. This is also a good opportunity to hire an expert to look for mold in your home that could also be causing health issues. There are many companies that claim to be experts in asbestos abatement, but be sure you’re dealing with a company that is certified in the practice. A company that offers asbestos removal in Toronto will take the proper safety measures, and will also use a vacuum during removal to ensure none of the particles escape into your home’s air. The company will also offer disposal and containment of asbestos materials, so you don’t have to deal with it. Asbestos removal is not expensive, but ignoring the risks and releasing it into your the air in your home or business could carry much bigger costs – like your health. 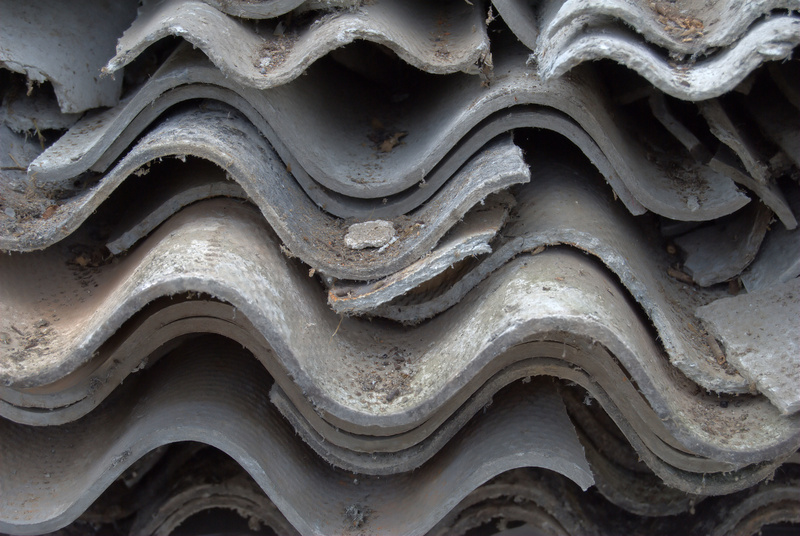 Don’t let cracking asbestos materials or a seemingly harmless renovation affect your health. Contact us today for a free assessment.